Ray Harmeyer smiled as he recollected stories of many of his students over the 26 years he taught karate in Luling, a run that came to an end last month. “It’s been a lot of fun,” Harmeyer said. 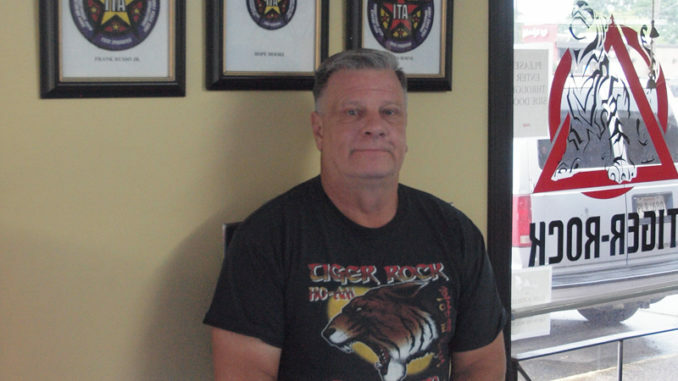 The veteran instructor and St. Rose resident closed the doors of his Tiger Rock Martial Arts school last month, stepping away for health-related reasons, and he says he’s not sure what he’s going to do with himself after years of working with his students. Harmeyer has taught eight different students who have gone on to earn World Championship honors in competition, and he’s quite proud of each one of them. But one thing that’s apparent when Harmeyer speaks is that as much as he’s loved working with those and all of his other students in class, what brings him far more joy is seeing the success they’ve found outside the world of karate. One thing Harmeyer always focused on for his younger students was grades. He asked his students to routinely bring their report cards to class to offer positive reinforcement to those making the grades, as well as to motivate those who weren’t to push themselves in the classroom. The discipline he hoped to instill in his students through martial arts extended far beyond the sparring mat. He recalled one young student who suffered from low self-confidence when he began years ago — “He wouldn’t look you in the face. 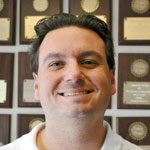 I always told him to keep his head up,” Harmeyer said — and was suffering in school, making Ds and Fs. Recently, that boy’s grandmother texted Harmeyer a photo and asked if he remembered her now teenage grandson — and she offered an update. Another former student who has made the coach proud was a boy suffering from autism. Harmeyer said the boy was exceptionally intelligent, but struggled mightily early on when it came to learning his moves. The boy’s father spoke with Harmeyer and had a special request. The coach put numbered footprints on the floor to give his student a visual, and it sparked the boy — he learned every form from there and went on to earn his black belt. There are adults, too, who Harmeyer is proud to say have done some extraordinary things. After bringing her son to classes, a blind woman decided she’d like to try her own hand at learning the art of self-defense. It was quite a run for a man who never planned to be an instructor at first. He got involved with the sport after enrolling his son into classes, and he soon began attending the classes as a student himself. He also established a habit of helping his fellow students pick up and perform their exercises properly. His instructor noticed and told him he could make a pretty good instructor if he pursued it. 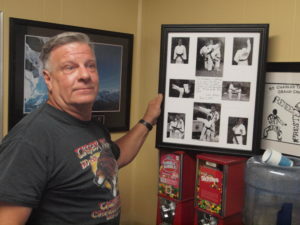 In 1992, he earned his instructor certificate, and he’s been teaching his students ever since and preparing them — both for competition and for life. I was one of his Tae Kwon Doe students, I made it to black belt and then I left cause of school reasons, Mr. Rey was amazing and even though he just taught Tae Kwon Doe he motivated me to become the best of what I can be, even when I failed some belt tests he gave me a second chance to prove myself, He was truly an amazing Tae Kwon Doe Teacher, not caring about money all the time like most, but seeking to discipline and teach, god bless you Mr. Rey, God bless you.